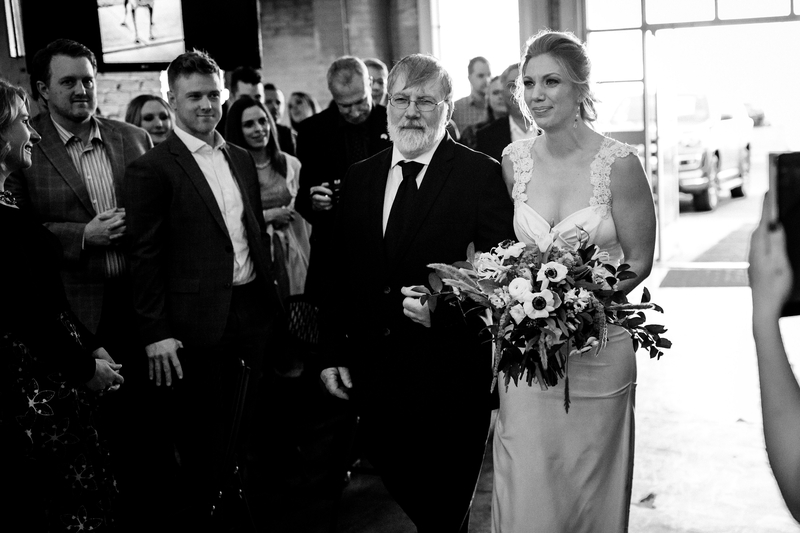 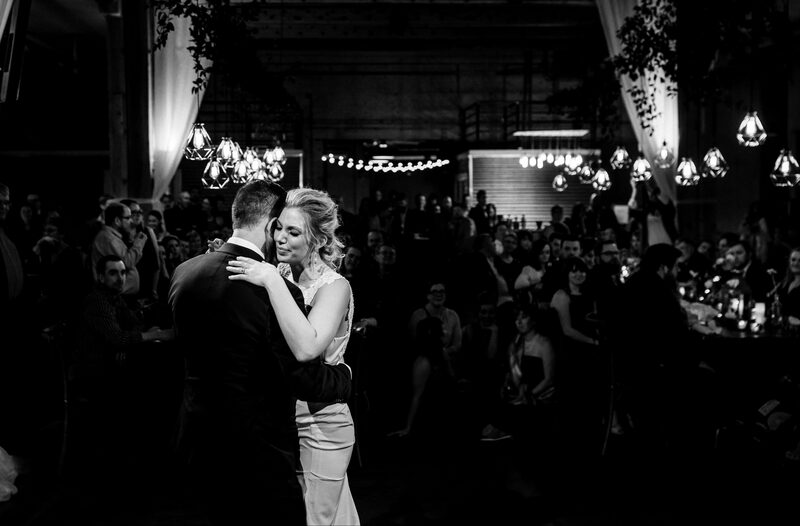 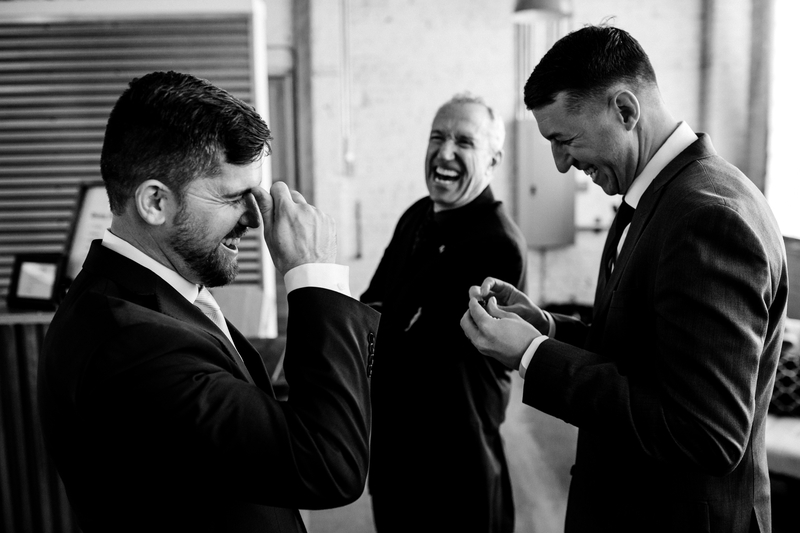 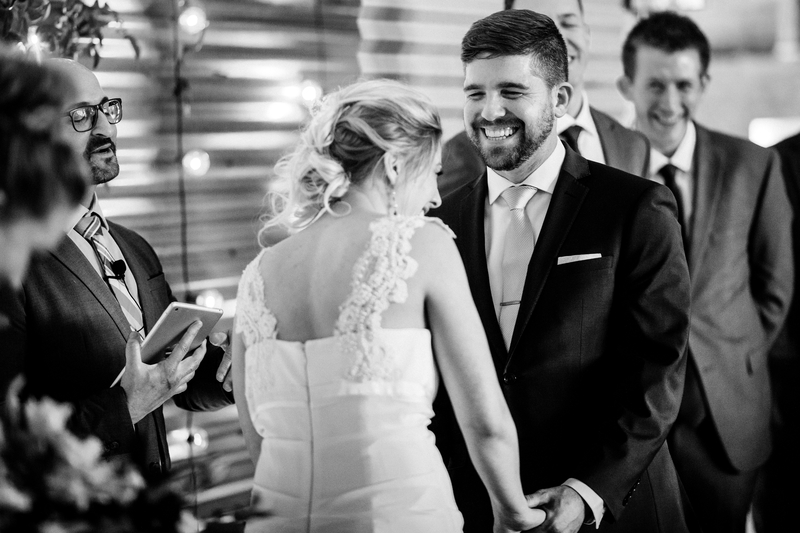 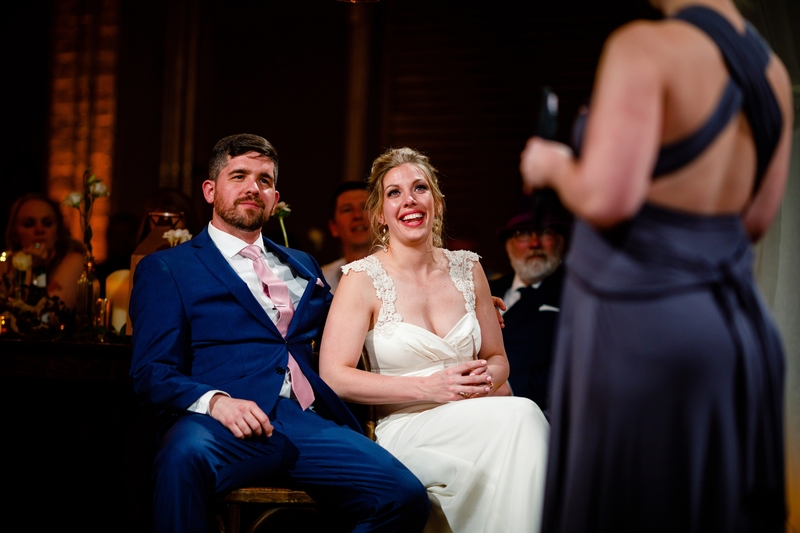 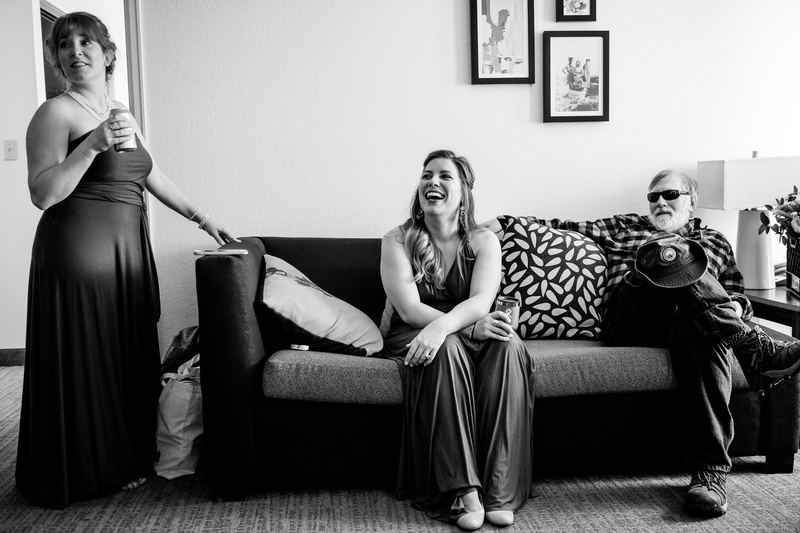 This wedding was a long time coming… Not because we knew Rob & Resa were perfect for each other. 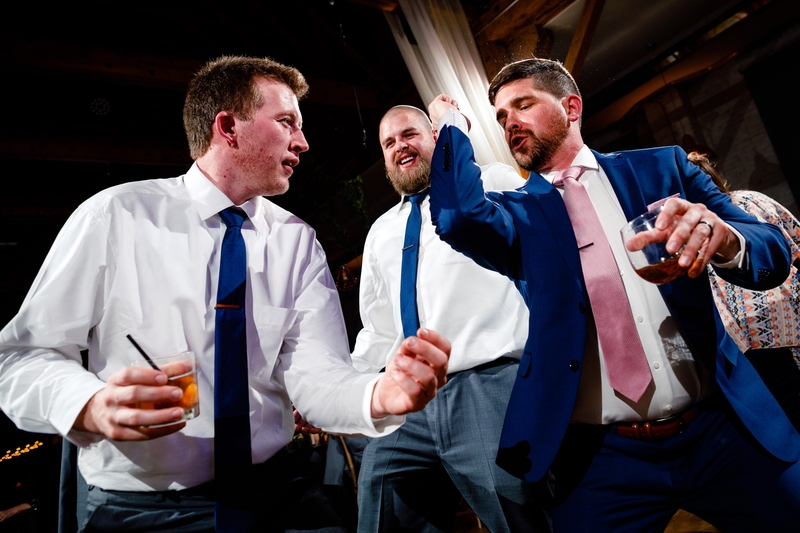 In fact, Resa wasn’t even around back when we connected with Rob at a wedding many years ago. 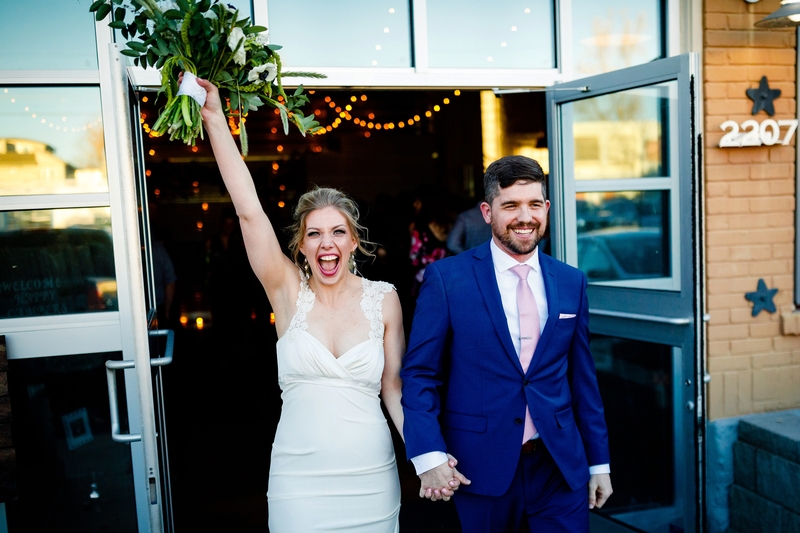 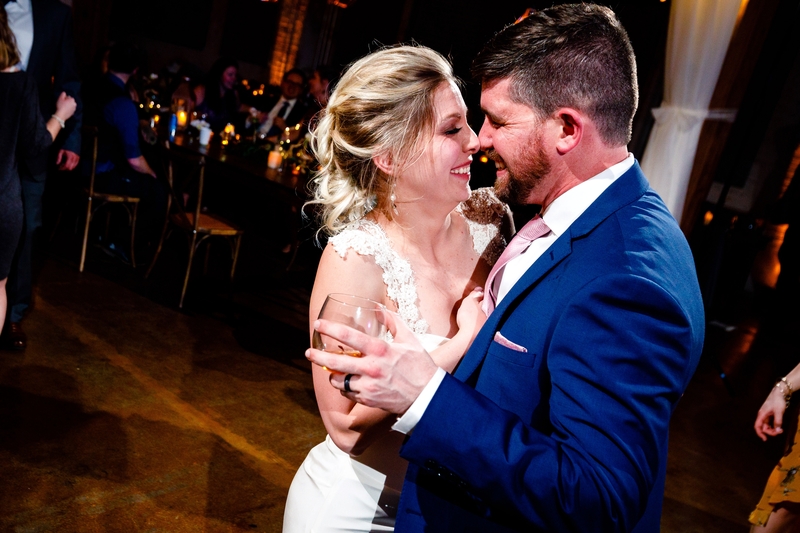 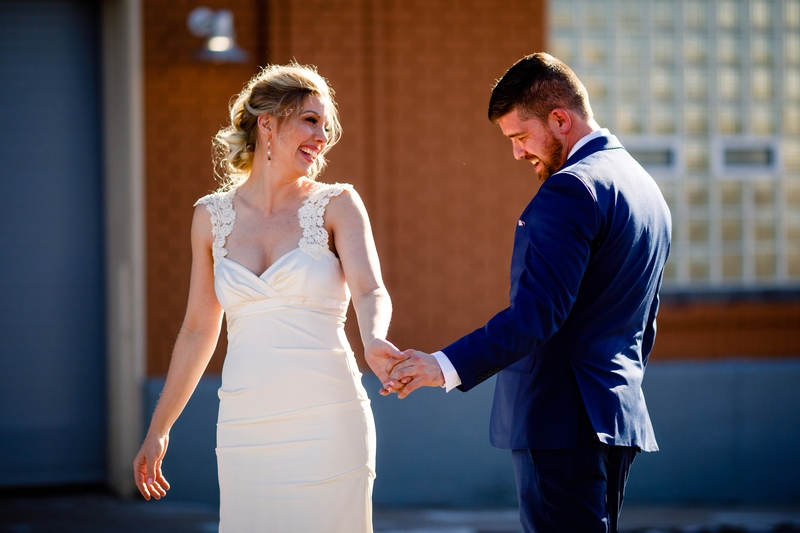 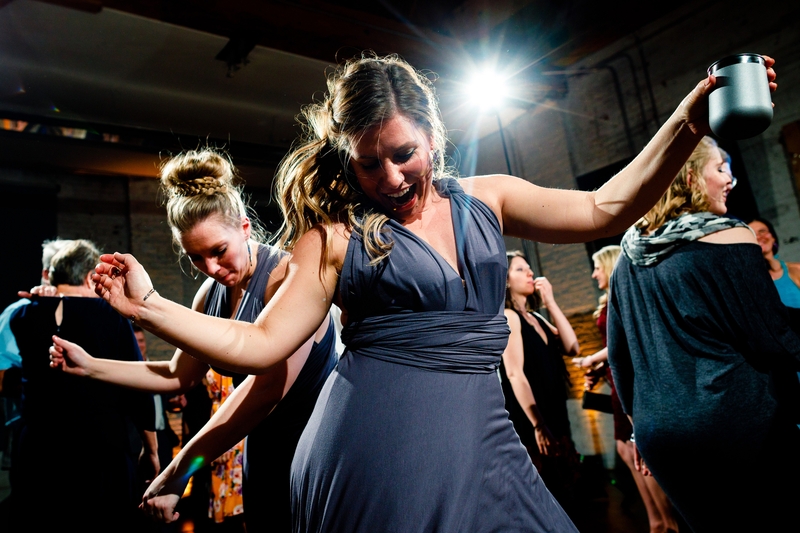 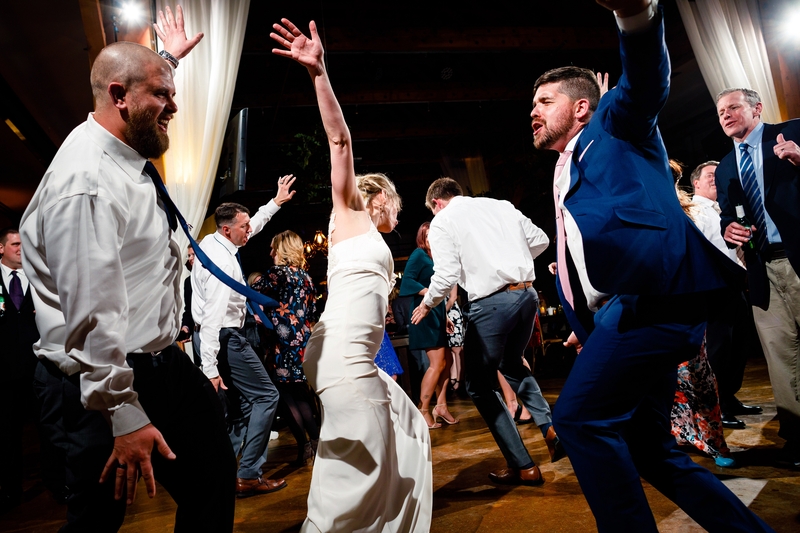 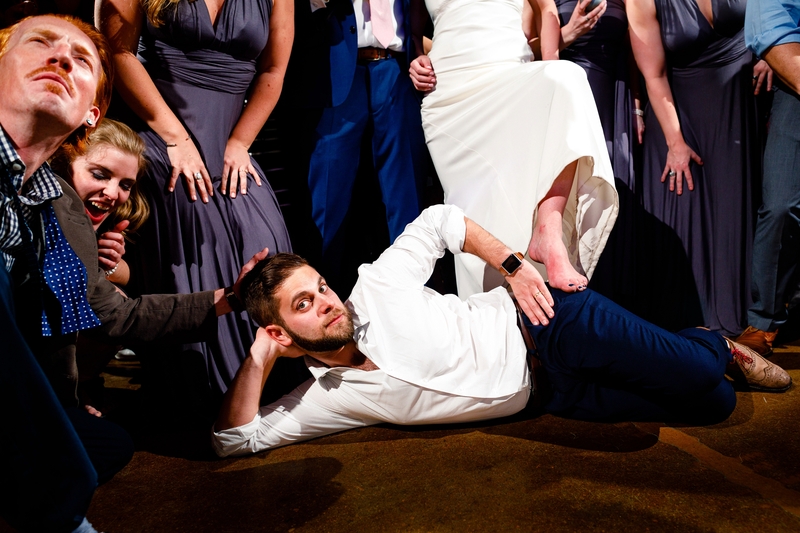 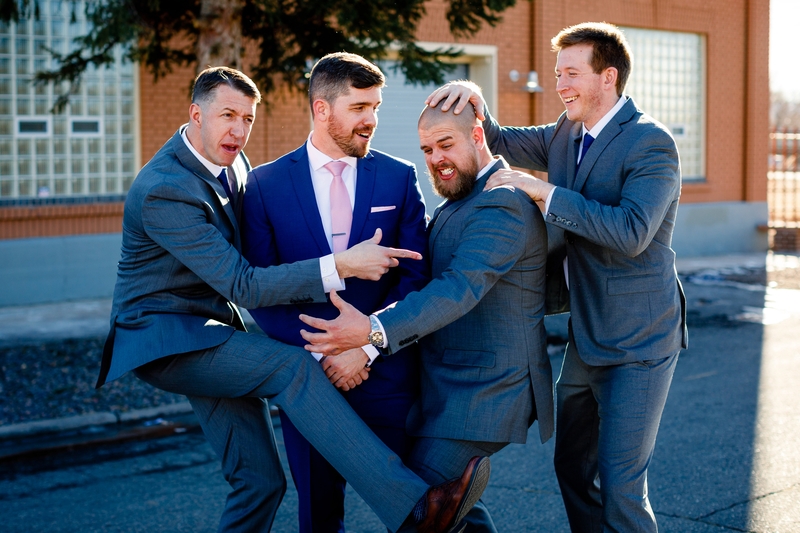 We knew that he would find someone as fun and awesome as Resa and their wedding would be one for the books. 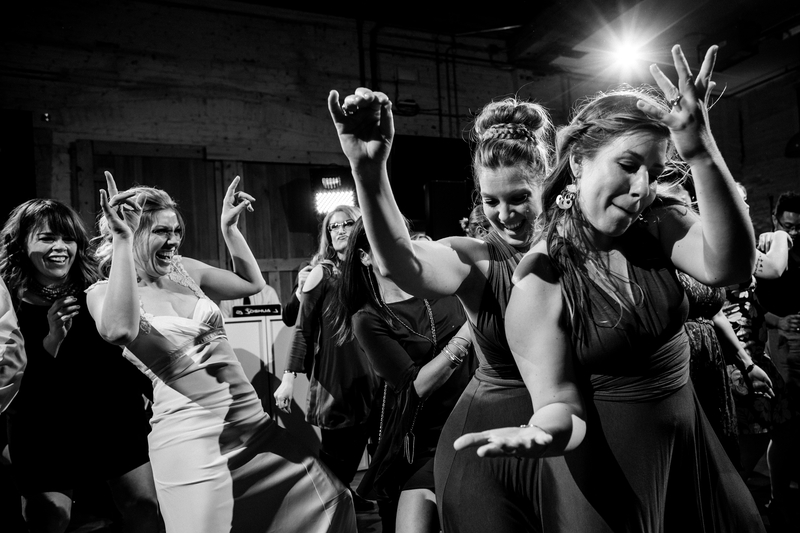 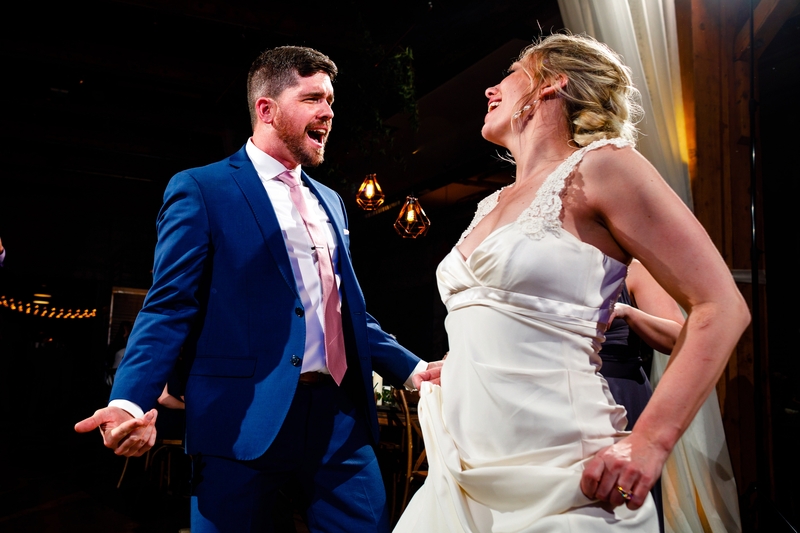 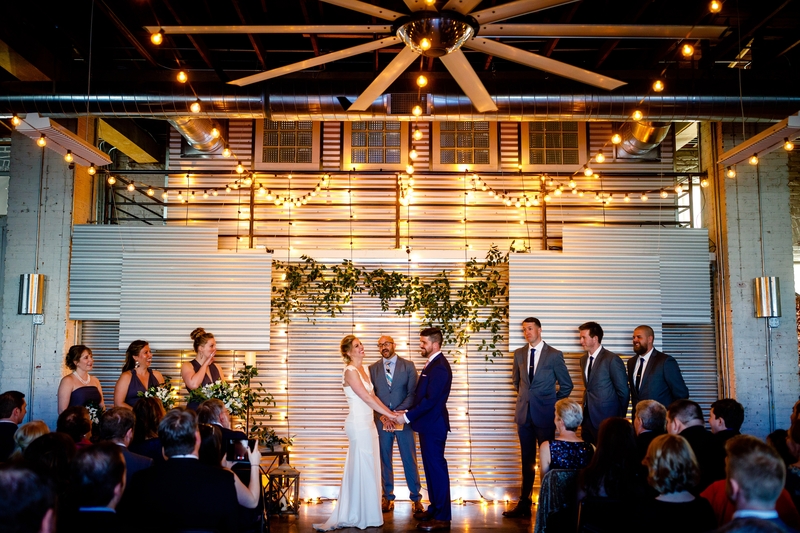 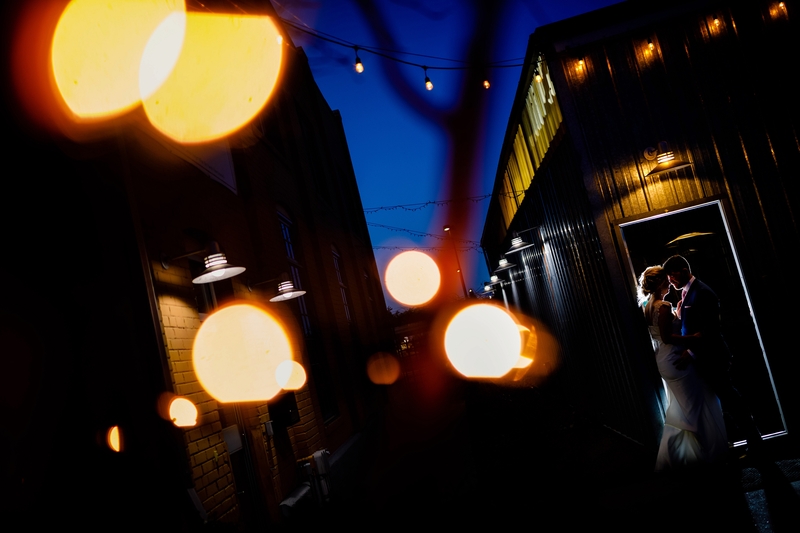 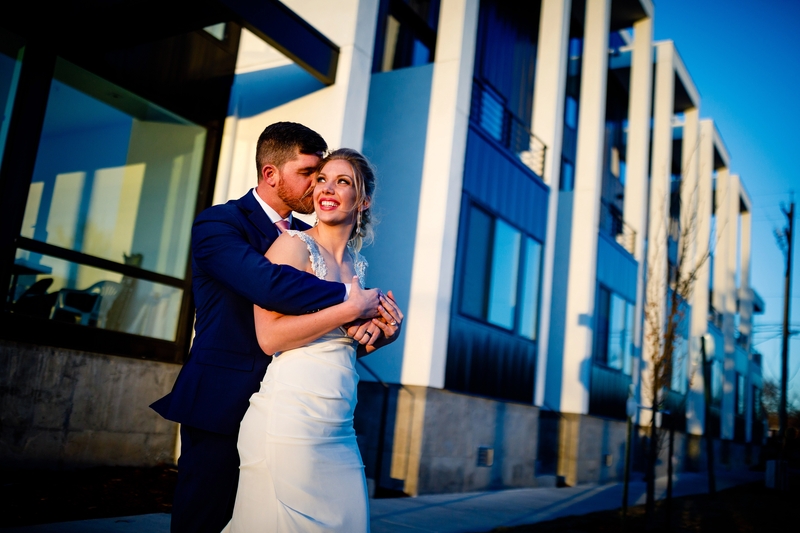 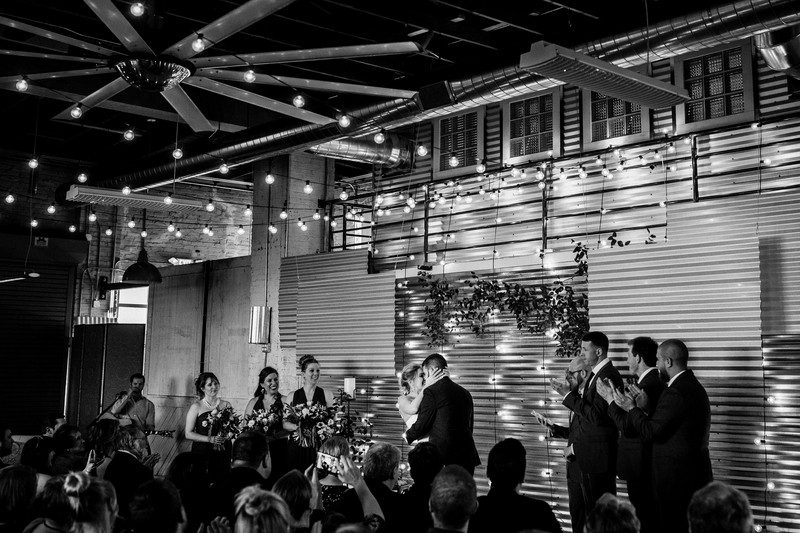 Their Studios at Overland Crossing Wedding was just that. 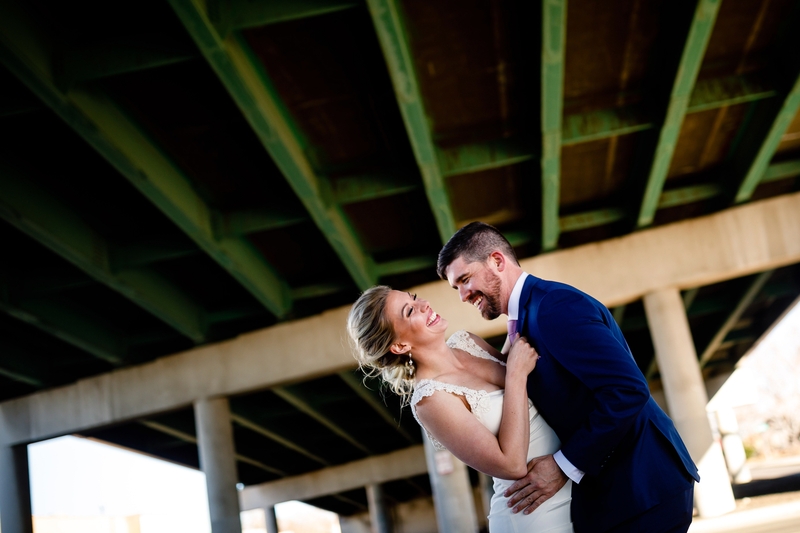 Leading up to their wedding, we got together this past fall for their Fall Eldorado Springs Engagement, which entailed champagne, crossing a river and their colorful personalities. 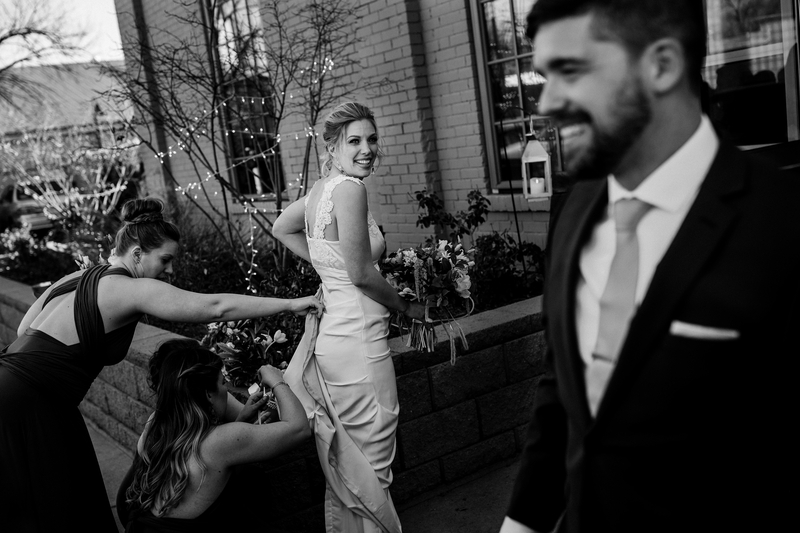 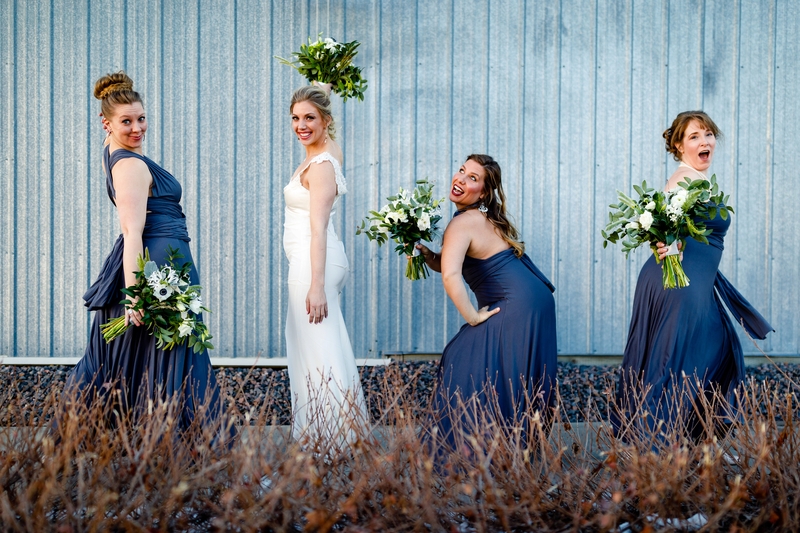 On their wedding day, we started with Resa and her bridesmaids at the Courtyard by Marriott for hair, makeup and a few cans of Underwood Rosé. 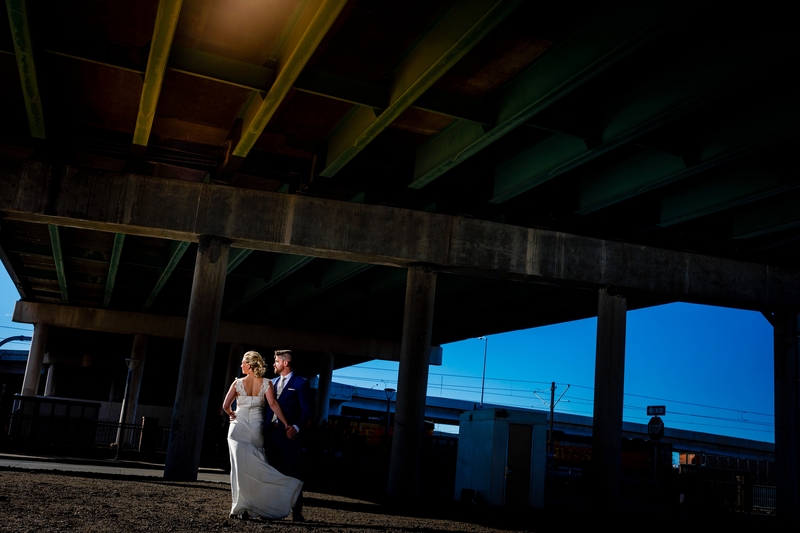 Shortly after, we made our way to The Studios at Overland Crossing for Resa’s first reveal with Rob. 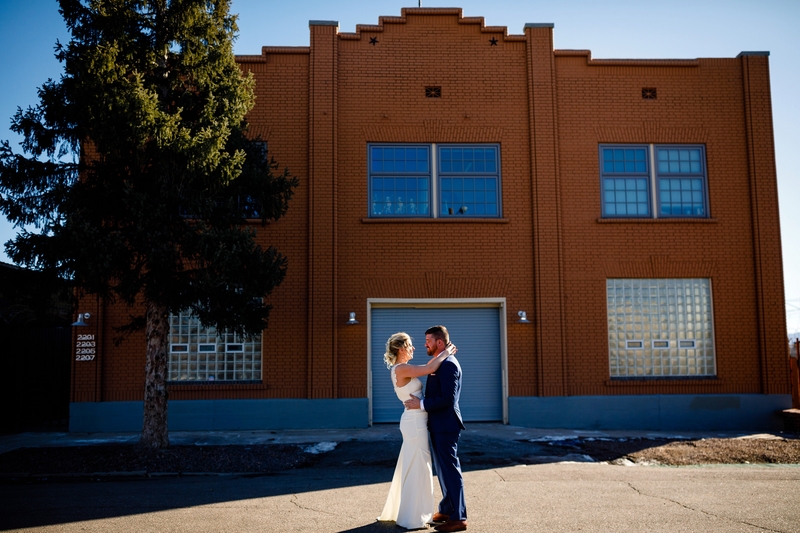 While our usual backdrops are the Rocky Mountains, we had an absolute blast working with these two and their amazing wedding party. 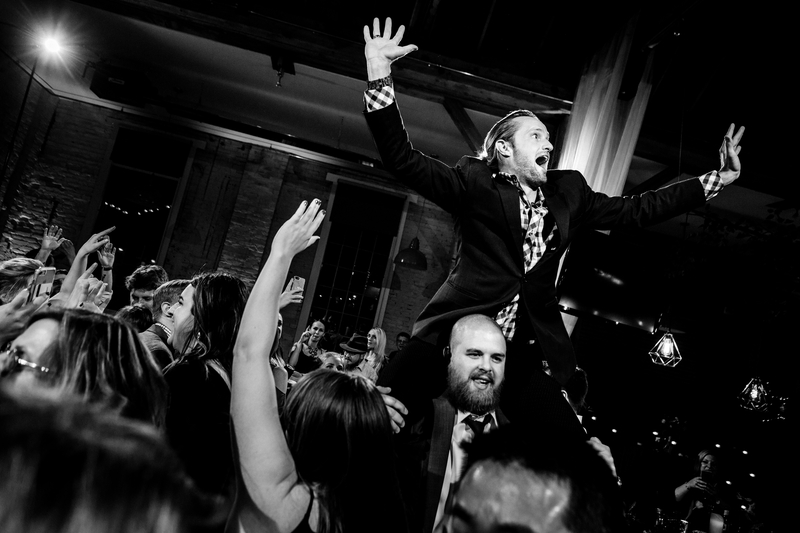 Energy and moments always trump mountainous landscapes. 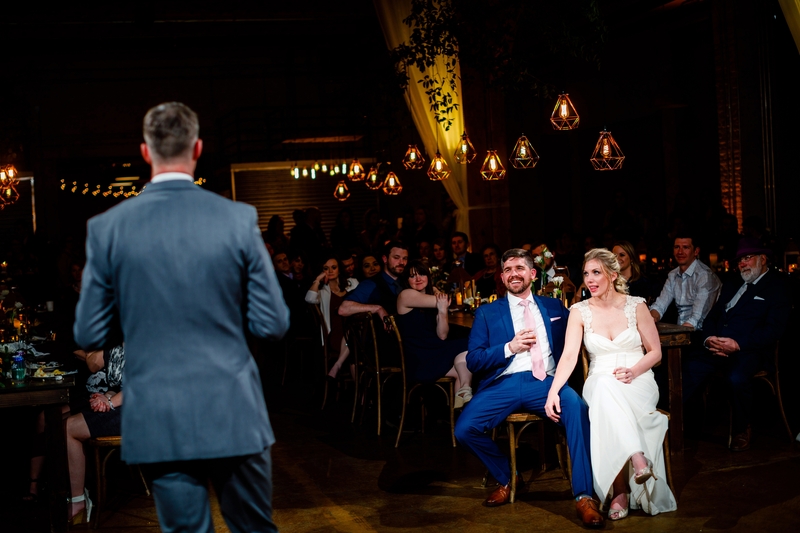 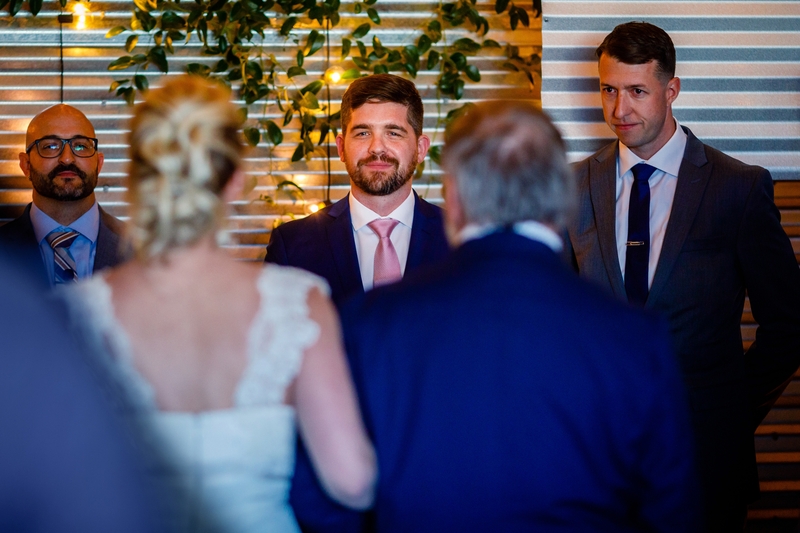 Being that Rob now manages Elite DJ, another one of our favorite DJs, Chris, just so happened to officiate the ceremony. 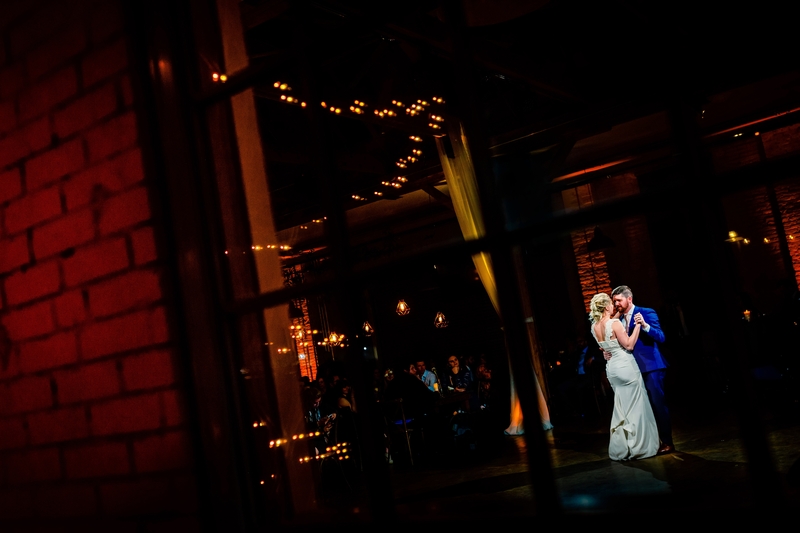 He nailed every bit and had Rob & Resa in tears. 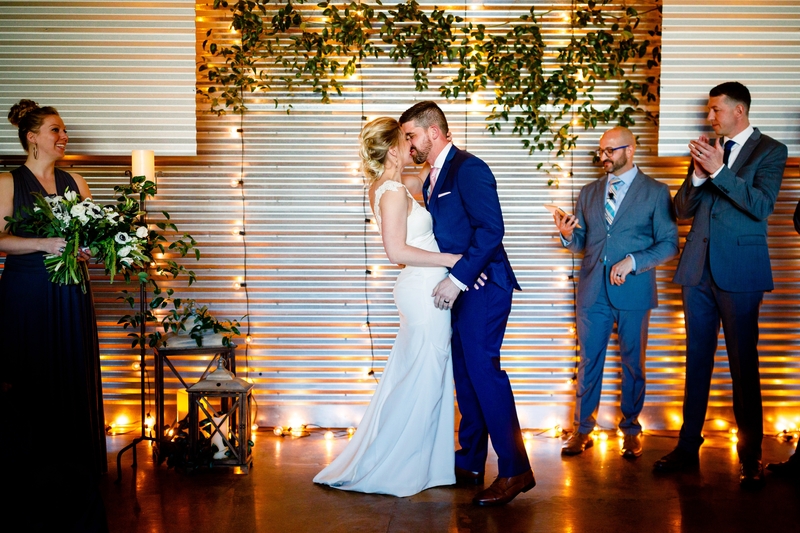 After exchanging their vows and walking back down the isle, the party began. 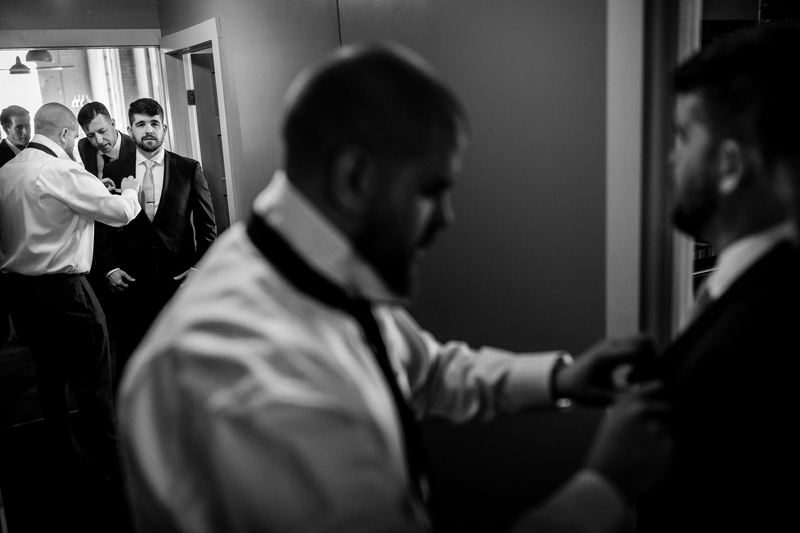 It was such an honor to document the wedding of these two. 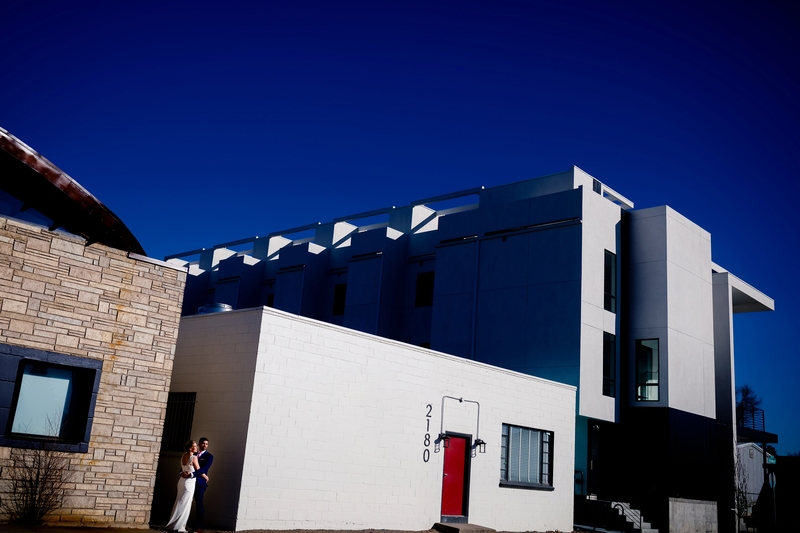 Their Studios at Overland Crossing Wedding was a great way to kick off another wedding season.